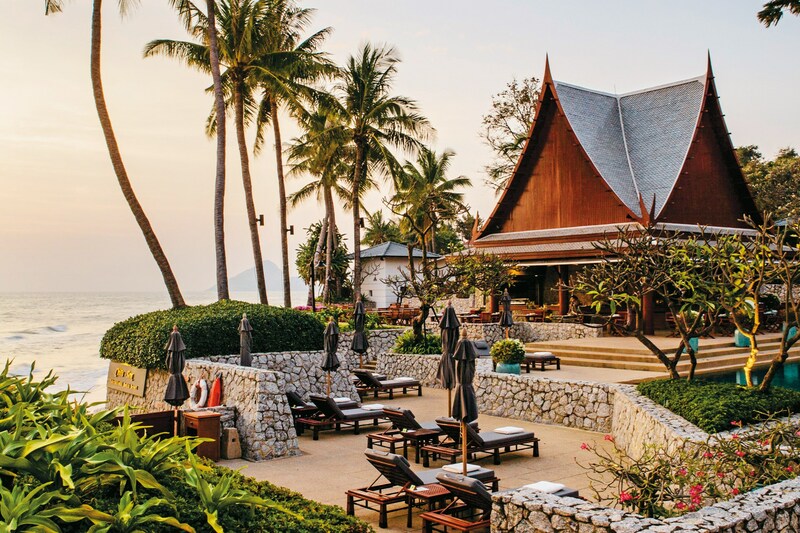 Yoga resorts, yoga retreats, yoga teacher training centers, yoga detox, spiritual escapes and personalized yoga programs – I’ve rounded up the best yoga holidays in Thailand for you. These are places where your daily yoga class comes with organic health cuisine or gourmet vegetarian food, along with spa facilities offering massages and detox. Wellness facilities are all there to support the well-rounded healthy yoga lifestyle; there might be a cool boutique selling cute yoga clothes, accessories, oils, incense sticks and spiritual jewellery that you won’t find at a regular hotel. Some places specialize in yoga teacher trainings; some cater to one-to-one yoga instruction. You’ll find a built-in community of like- minded people who might become new friends, or opt for complete privacy in a lavish pool villa where nobody but your personal butler enters your space. 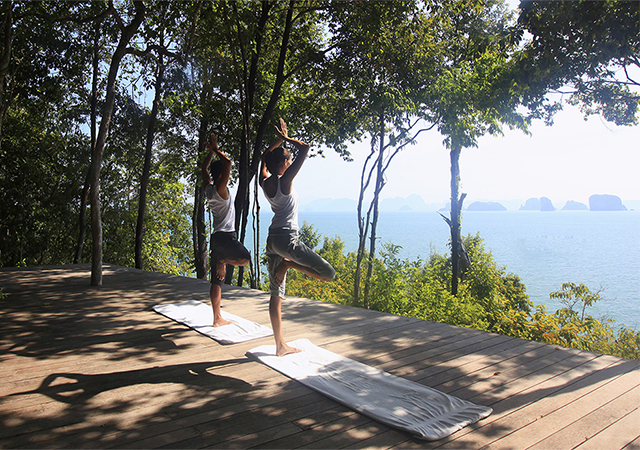 Here are 5 top yoga resorts around Thailand to satisfy a whole range of experiences and tastes for yoga and luxury. 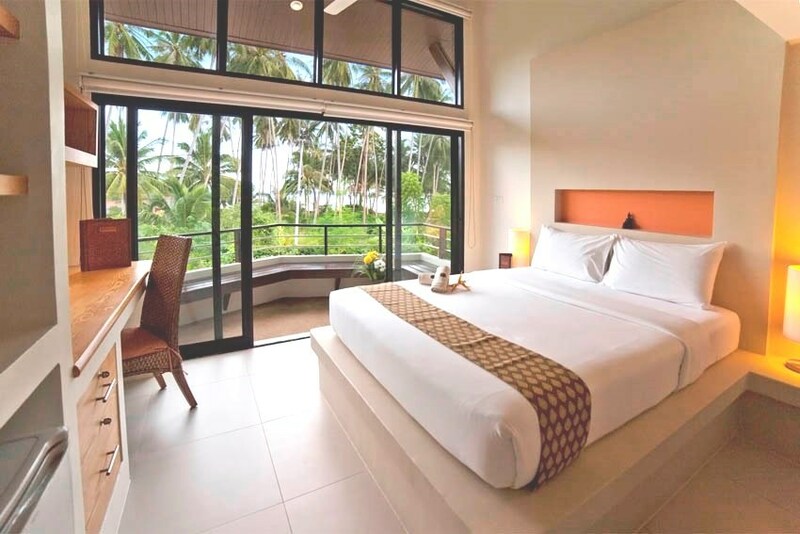 WHERE – Samahita Retreat is located on a pristine, beautiful beach in the southern part of Koh Samui, far from the mad nightlife scene of the popular party beaches Chaweng and Lamai. The outdoor yoga shala, swimming pool and dining are right on the beach, shaded by coconut trees. You can go on long beach walks or jogs any time of day, do yoga on the beach, or just sit and watch the seaside sunrise and sunset. WHY GO –Samahita focuses on Ashtanga yoga and is an international teacher training center. Its offerings include twice daily yoga classes, yoga retreats, visiting teacher retreats, detox and fitness retreats at the wellness center. There are 4 dedicated yoga shalas, an indoor cycle studio, an outdoor beachside yoga shala, and an eco-lifestyle boutique. The wellness center here offers holistic spa massages, far infra-red sauna, and a good range of detox programs with fasting and colonic cleanses geared toward stress relief, candida detox, and gentle detox. WHY STAY – Rooms are bright, comfortable, airy, in simple contemporary chic style, all with terraces facing the sea. There are no TVs in the rooms to encourage mental rest, but rooms do have wi-fi so you aren’t completely cut off from the world. 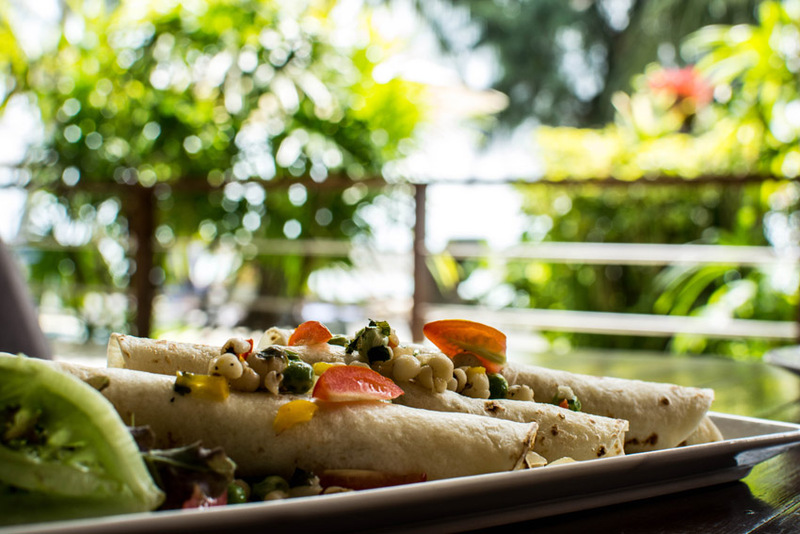 The beachside dining room offers buffet dining with low fat vegetarian health food to keep you clean and light in keeping with the principles of a yoga diet. Casual shared dining tables encourage guests to mingle and develop a community spirit. You’ll find it easy to meet new international friends from all around the world here. WHERE – Be aware that Absolute Sanctuary is not located on a beach, it’s set inland on a hill though you can get a glimpse of sea from the higher rooms. Don’t worry, there’s a pool to cool off in and you can still get to the beach and even go on a boat trip since, after all, you are on an island. WHY GO – Absolute Sanctuary is a wellness retreat center and yoga teacher training center with 15 years’ experience running Absolute Yoga Studios around Bangkok. Yoga programs offer 5, 7, and 10 day options and all include yoga classes, 1 colon hydrotherapy and accommodation. There are 2 yoga studios, teacher trainings and yoga workshops. Aside from yoga, Absolute Sanctuary offers a wide range of other wellness programs such as spa, detox, anti-stress, Pilates, fitness, weight loss, and lifestyle change retreats, supported by wellness facilities including the spa and detox center, steam and far infra-red sauna, gym, Pilates Reformer studio and swimming pool. WHY STAY – If you like colours and patterns, you’ll like the hot pink, teal blue and soft green Moroccan themed interiors here. There are three room types ranging from larger suites to spacious deluxe rooms to cozy superior rooms for different budgets. 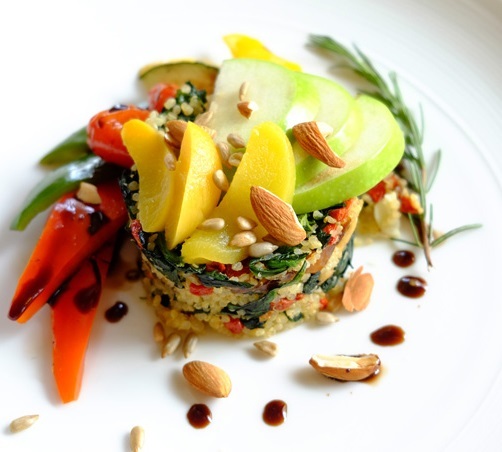 The Love Kitchen restaurant specializes in low calorie natural and organic health cuisine using high nutrient superfoods and wholefoods with a Thai and international menu. WHERE – Koh Yao Noi, which means “little long island”, is a small, unspoilt island just off the big island of Phuket. 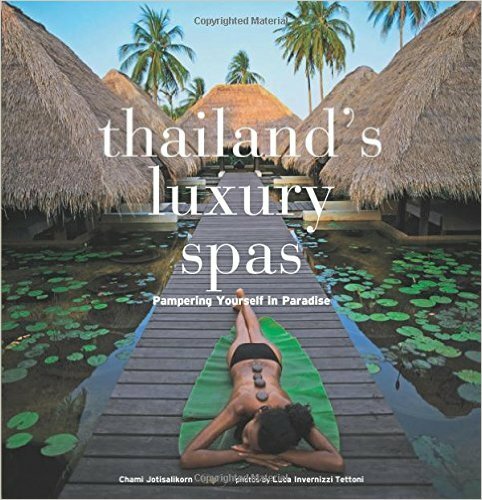 To get here, you get on the resort’s fabulous speed boat for a 15-minute boat ride from Phuket to the Six Senses Yao Noi private pier. The guest villas are nestled on a hillside, giving you amazing views of gorgeous Phang Nga bay with its stunning karst limestone cliffs and outcrops. If you want romantic, this is drop dead romantic. 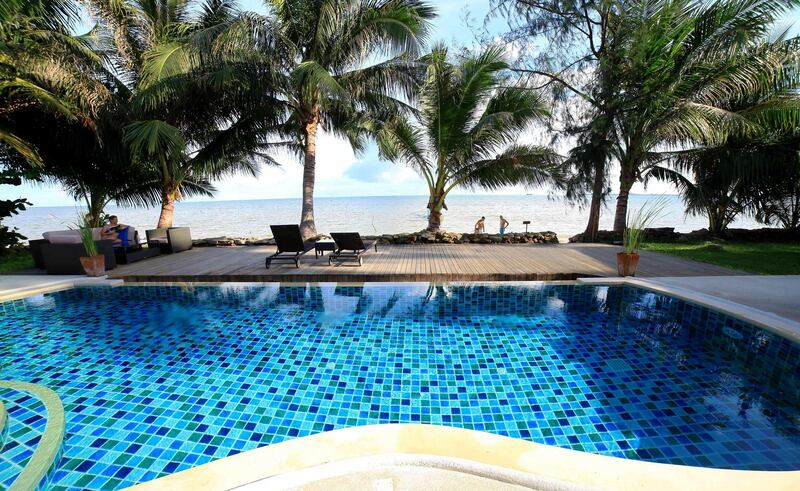 WHY GO – This is a regular luxury villa resort rather than a dedicated yoga retreat. 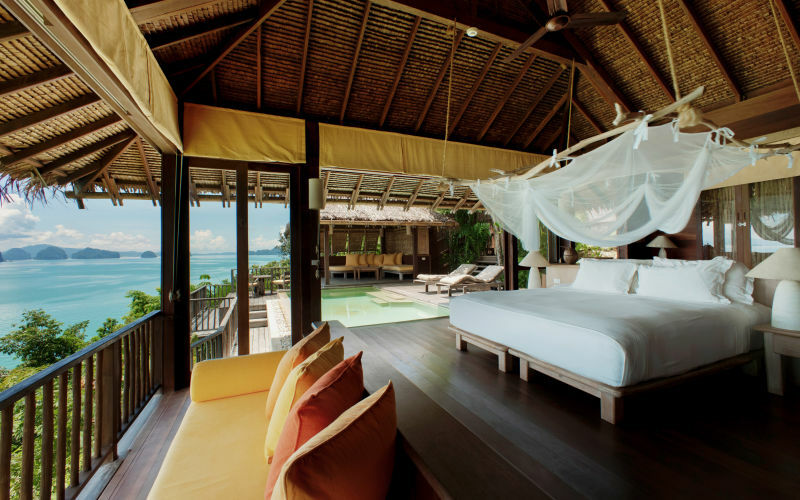 However Six Senses Resorts do focus on wellness and eco-consciousness which supports the clean green yoga lifestyle. Here they offer 3 – to 14 nights yoga programs for individual guests who can choose from Discover Yoga for beginners, Yogic Detox for experienced practitioners, and Yogic Sleep for all levels to boost relaxation and teach mind body tools conducive to slumber. The yoga programs feature private sessions of Hatha yoga, guided meditation and breathing exercises, with signature massages and energy treatments included in the daily schedule. WHY STAY – This is a real luxury hideaway escape, offering huge pool villas with spacious deck and outdoor living room, many with fabulous sea views of magical Phang Nga Bay. 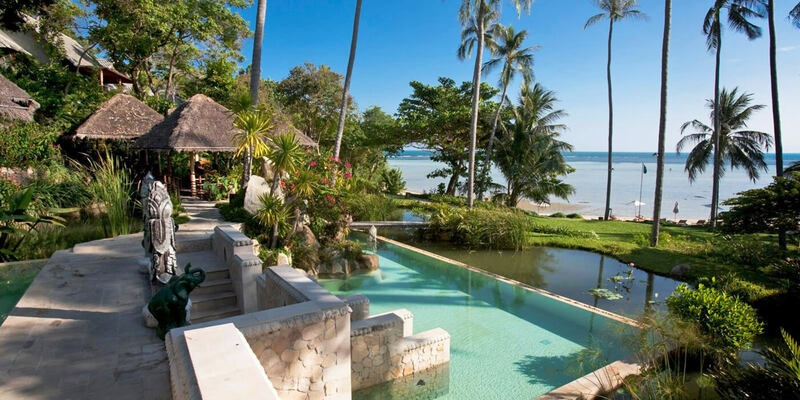 The resort is extremely private and secluded. If it’s privacy you crave, you can stay cocooned in the world of your pool villa with a personal butler to tend to your needs. You’ll want to come out to the restaurants to sample the gourmet food though. The spa offers plenty of massage and beauty options and ayurvedic treatments as well. It’s worth it to take a boat trip to the surrounding islands to explore the beauty of the area. There are several dining outlets and options available. While it’s not specifically wellness or vegetarian food per se, you can make healthy selections from Thai and international cuisines. WHERE – The resort is located in the quiet southern side of the island and its beachfront is tucked into its own quiet cove on a sweeping expanse of beach. The property stretches from the top of a hill all the way down to the beach, offering nonstop panoramic views from the cliff top yoga shala, lap pool and fitness gym, spa and dining room. WHY GO – Kamalaya is a true luxury wellness sanctuary dedicated all forms of holistic health and healing for mind, body and spirit. 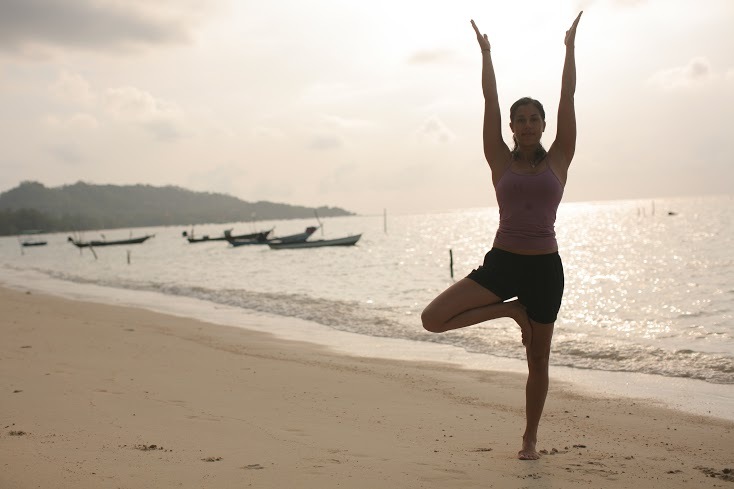 Yoga retreats are among the many personalized retreat programs on offer here. Try the 3, 5, or 7 night Personal Yoga Synergy Program which offers private one-to-one yoga sessions with customized instruction along with pre and post personal wellness analysis and wellness consultations, complementary spa treatments, including Ayurveda therapies from experienced Indian therapists. The daily yoga sessions cover physical asanas, pranayama breathing and meditation, and are completely tailored to your individual needs, so anyone at any level can do this program. In addition to your own program, you have complete use of the swimming pools, steam cavern, gym and yoga facilities and can join any of the complimentary daily holistic fitness classes such as group yoga, Tai Chi, meditation, and health and lifestyle talks. WHY STAY – The luxurious and comfortable guest rooms range from balcony rooms with sweeping sea views, big villas with outdoor bathrooms, pool villas. and pool suites. 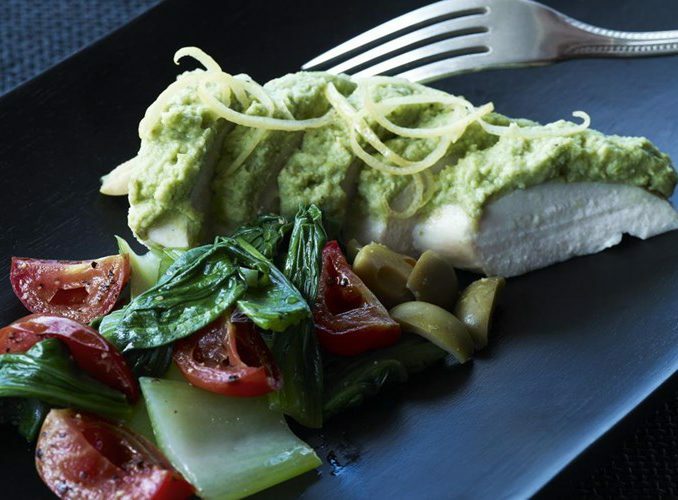 The food at Kamalaya is multi-award winning and absolutely healthy, delicious and luxurious, with detox/weight loss menus and a la carte gourmet cuisine, including the most delicious non-dairy chocolate desserts. Read my review & BOOK YOUR STAY – Get all their packages, best price guaranteed, advice on planning & travel, and book online here. WHERE – If you like your environment to be 5-star, old school corporate luxury, Asia’s most glamourous health resort Chiva-Som is located in the royal seaside resort town Hua Hin, 2 hours’ drive from Bangkok. The resort will pick you up directly from the airport and whisk you straight there in a very comfortable chauffeured Mercedes Benz. The property is located directly on the beach, with sea view rooms and the elegant pool and dining room looking onto the beach too. WHY GO – Chiva-Som offers a Yoga for Life Program where you can join group classes or one-on-one private sessions tailored to your needs. This yoga retreat program includes meditation, Pranayama breathing exercises and Ayurvedic cleansing techniques, plus a daily spa treatment of your choice, and meals. 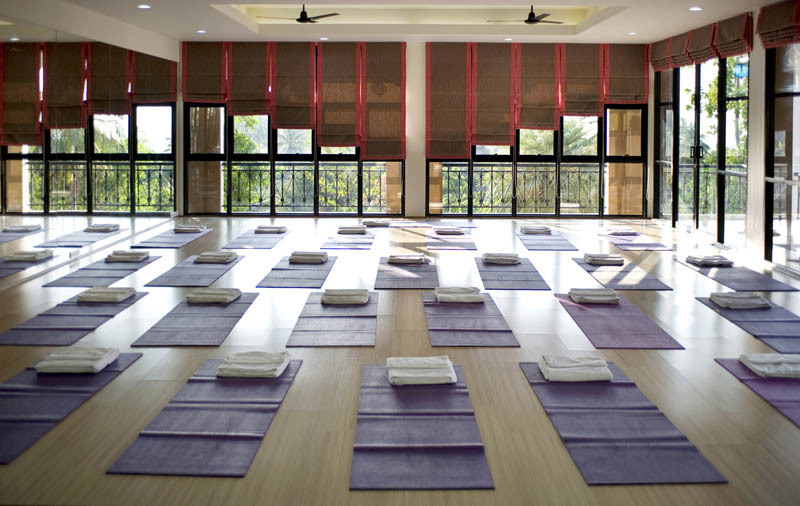 You can choose from Hatha, Vinyasa, or Ashtanga yoga, and choose from 3, 5, 7, 10, or 14 night packages for your program. WHY STAY – You can choose between sea view rooms with balconies or more private garden villas. The beautiful dining room has buffet and a la carte meals and everything is low-cal and fat-free with lots of raw green vegetables at the buffet. Aside from the yoga program, there’s a fully equipped gym, outdoor and indoor pools, and a grand and shiny European-style spa offering a massive range of pampering spa treatments along with all sorts of holistic treatments ranging from acupuncture to iridology, reiki, reflexology, hypnotherapy, energy healing and much more from in-house and visiting practitioners. There’s also a medi-spa offering aesthetic laser dermatology to boost your complexion with a younger, smoother and fresher look than before. 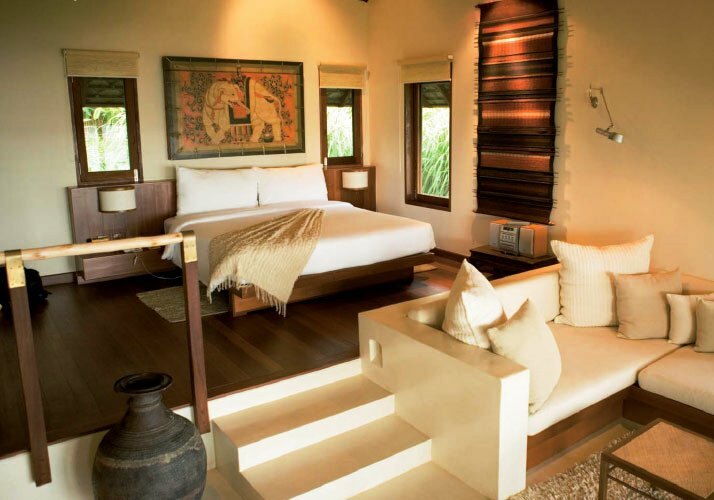 Want to get an insider’s real experience staying at Chiva-Som? Read my personal review here.